Nick fishes on Foreign Exchange after moving to Coffs from Port Macquarie, where he was the President of the Port Macquarie GFC. An experienced game fisherman on both the deck, and as a skipper. He's been at the game for many years, and when he's not saving the community from assorted villains or juggling the commitments of a growing family, he can be found out at the edge of the continental shelf putting a few moves on the occasional marlin, including the largest blue marlin tagged on the Solitary Coast off Coffs for several years during the recent 2013 Heavy Tackle Challenge tournament. Nick also makes Black Adder Teasers, one example of which regularly runs off the back of Foreign Exchange and has been instrumental in the boat's success this season. When things are slow on the night shift, he's also been turning his hand to writing about his favourite sport, and these are his articles below. . . enjoy. 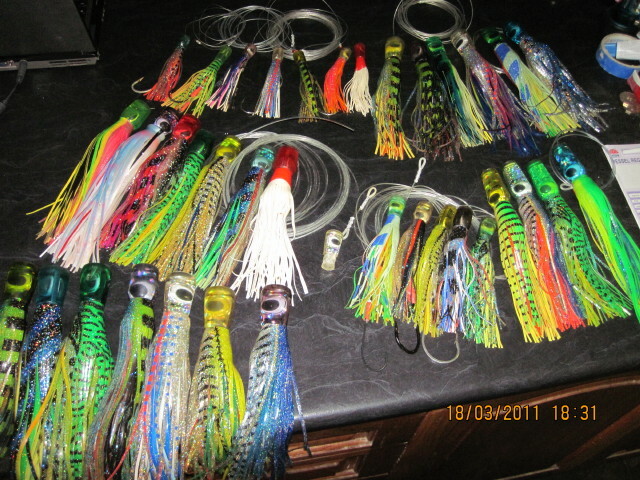 We've had a bit of a lure disaster on the boat recently - as regular readers of this website will know. This incident inspired the following article. . .
During the 2013 Solitary Islands GFC Heavy Tackle tournament, experienced big game angler Nick Brunyee ended up on the other end of a serious tussle with one of the biggest Blues hooked up in the waters off the coast here for some time. Here's his story about the fight . . .